Joy. Realize. Trust. Child. Give. Humble. Shepherd. Surprised. Heart. Tugged. Perspective. Family. Forgetful. Alike. Water. Overwhelmed. Smile. As we sat outside as a team during our evening devotions, these are some of the words that were laid on our hearts throughout the day. How can we put into words the amazing things we did, seen, and felt today? We started our morning driving through the city to meet the water trucks being filled. Even though it is Day 4, every ride through the city brings about a new experience of sights, sounds, and thoughts. After seeing where the water trucks get filled up at, we headed to our first stop in Cite Soleil. Children of all ages surrounded the truck as we got off to greet us. So grateful for not just the free water, but to be loved. God is love (Bondye se Lanmou). Let us love one another, because love comes from God. No language barriers could keep our teams from wanting to serve each and every person in Cite Solei and share the word of Jesus. We all took turns filling their buckets with the heavy water hose, helping caring buckets to their homes, showing the children love by carrying them around. We found out how much we are alike as we had the chance to play hand games and telling each other about our lives. Today each one of us got to experience something different. Even though the water we delivered to the people of Cite Soleil eventually ran out and we had to move on to our next stop, our prayer is that the people know Jesus as the source for their living water that they never will thirst and have eternal life. How awesome will it be to see our brothers and sisters of Haiti in heaven someday. In all, we repeated what we where doing but all three water truck stops created different memories. Each stop was full of new smiling faces to greet us. 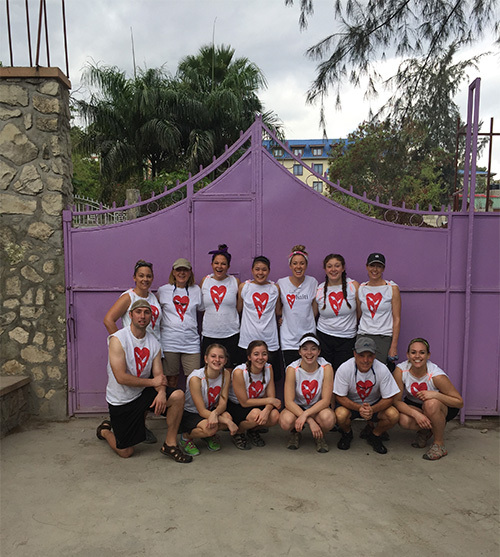 We also had the opportunity to visit Hope Church and Haitian International (HI). Hope Church is a church and school supporter by Healing Haiti that is built on top of land that is covered of garbage. HI is an academy that gives youth the opportunity to receive a meal and be coached up in soccer. The children can only attend HI if they keep up their grades in school. 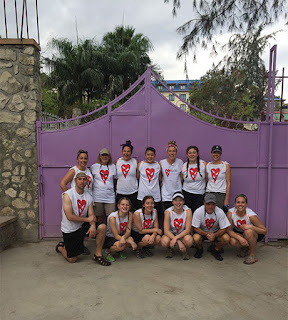 How encouraging it is to see the staff and coaches of HI pour into the Haitian children. HI and Hope school and church are both symbols of hope for such an impoverished and desperate place. The scripture for today was Psalm 23. What a reminder of God’s truth that even in one of the poorest cities in the world, we are rich to the fullest and lack nothing when we have a relationship with Jesus. One of my favorite quotes that fits today is “Often times we don’t dream big enough, and often times we don’t start small enough.” We were also challenged to reflect on something that we haven’t done yet and need to do related to God’s calling in our lives – on this trip and/or back home. Praise God for His love and grace over our team. 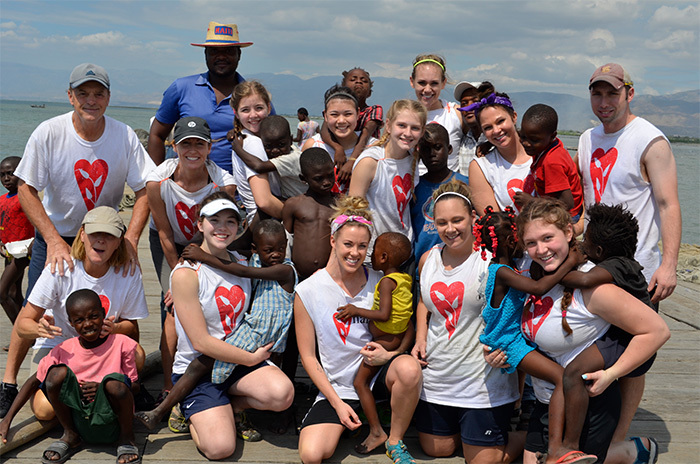 We continue to pray over the people in Haiti and God will do His Kingdom work through us to reach our Haitian friends!